In a recent report by actuarial experts John Have and Robert Brown, the study’s authors called for legislation to increase the cut-off point for those eligible for employee benefits. This, they said, would protect workers, but also benefit employers through higher productivity among older staff. In the opinion of Dave Patriarche of the Canadian Group Insurance Brokers (CGIB), however, further legislation on age limits is not the way forward. With Canada’s aging demographic, that means a large amount of people, representing a huge cost for insurers and employers to meet their benefit plan obligations. Patriarche is the founder of the CGIB and president of his own firm, Mainstay Insurance Brokerage. Employee benefits are the bread and butter of his business, so he has strong thoughts on the implications of increasing the cut-off age for long-term disability. 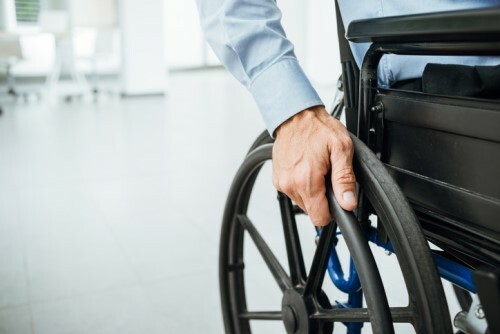 While offering long-term disability coverage to those past retirement age would be folly in Patriarche’s view, he sees no reason why that accommodation can’t be afforded when it comes to other benefits. As he explains, it is already standard practice with many firms in the industry. I agree with Dave. I will leave it at that to avoid getting the regulators mad at me! Based on hard data, statistically, the median age of retirement in Canada (even over the past 6 years) has been and still is at age 65. So, while there may be some small sliver of demand within the workforce to exend it beyond age 65, insurance companies are not actually being faced with this as a genuine need; hence no actual market demand. Creating new or changed insurance solutions is an expensive proposition that impacts the carrier's bottom line (most carriers are still mutuals without public shareholders). So, assuming a business risk to create a product that addresses a market demand that does not exist would be foolish; underwriting such risks only serves to bump-up premiums to solutions that exist today which serve the ACTUIAL need for LTD to individual plans and group plans. LTD premiums are high enough; why add to the challenge of selling such a necessary solution? Leave well enough alone. (Feedback written by a financial advisor who is also a disabled person).